As the end of 2017 and our 17th year approaches, a review of the books brought out an interesting fact. We've long known that the failure rate of ATM products is very low. When you take out the occasional cases of shipping damage and "operator error", genuine failures in normal operation are extremely low. We frequently hear of ATM systems that have been in operation for over ten years and are still going strong. 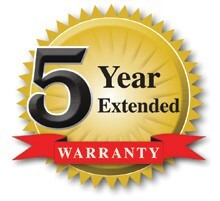 Effective October 1, all ATM products will carry a 5 year parts & labor warranty. This will be a "common sense" warranty. Obvious abuse, lightning strikes, etc. will not be covered, nor will shipping charges. But "It just stopped working", "One of the fans is making noise" -- covered. The complete warranty will be available at activethermal.com on the Downloads page.